And here are Erika’s questions and my answers. How about my first christmas fair at my high school since I was primary one. To be honest, kids alway think everything is possible for them. Don’t let your age stop this attitude. Run without worry, and dance as if you can fly! Hard Question! Maybe Lion King I guess but it is too long to feel. I have never even watched Frozen although Elsa’s personality is like mine (INFJ in Myer Brigg) Anyway, let me put Elton John’s song. It is still beautiful for me. Favorite song of all times? Did you mean my first book that turn me become interested in sharing the life insight and meditation> Here: Maturity by Osho. In the past, I felt worried that I am not mature but after reading this, my perception and understanding about maturity was completely twisted! Maturity is the innocence, being open to learn, and being responsible in being yourself. What feels romantic to you? 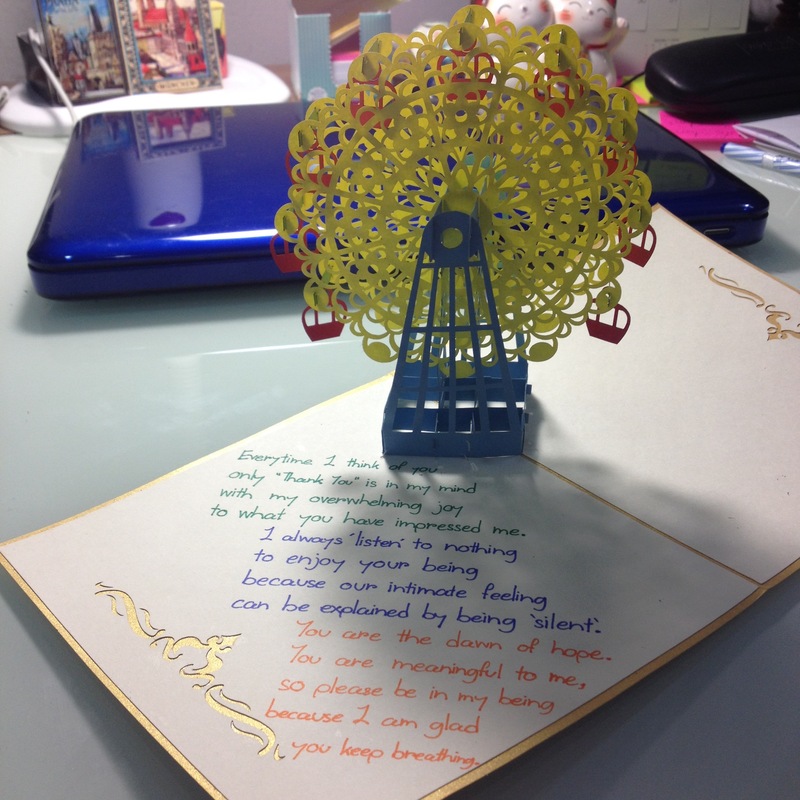 Writing card for my best friends! Explain yourself in 3 words. Thank you again and again Erika for this honourable nomination.